Our Club welcomes special visitors, Lyle and PJ Ryan, from the Rotary Club of Everett, WA. On August 17, 2018 we had our annual Lobster Party with the Rotary Club of Moncton West & Riverview. We were excited to finally meet Past District Governor (PDG) Lyle Ryan and his wife PJ who came all the way from Everett, Washington. Lyle is a member of the Rotary Club of Everett, and PDG of District 5050. We wanted to recognize and thank him for his life-saving gift of a kidney to our member, PDG Michael Walsh (District 7810). 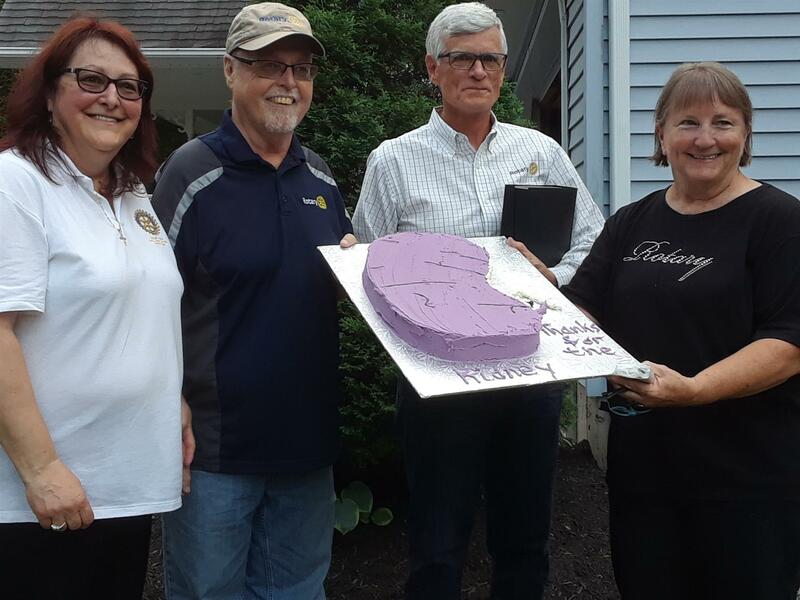 The Ryans became friends with Michael and his wife Francine Fournier-Walsh as part of their leadership training for the Rotary Governor path. They were Governors in 2014-15. When Lyle became aware of the health issues that Michael was having, he wanted to help. He stepped in and learned that he was a perfect match to Mike for a donation of one of his kidneys. The decision was made. The path towards the transplant seemed endless and at times it appeared that the goal was impossible to reach. The process became time consuming and challenging but Mike and Lyle persisted and on April 30, 2018 the operation was completed at St. Paul’s Hospital in Vancouver BC. “Be the Inspiration” in our world. For Lyle, “there was no question that I would do this. I have two, and I can help”. Lyle also shared with us, that many thousands of patients suffer kidney failure. 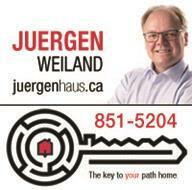 Daily more than 20 people in the North Americas die because of kidney failure or heart disease thereof. Currently there are more than 100,000 people waiting for a kidney transplant. Lyle’s final words of encouragement were to our members; maybe one of you would also step forward and help a person who suffers from kidney failure. 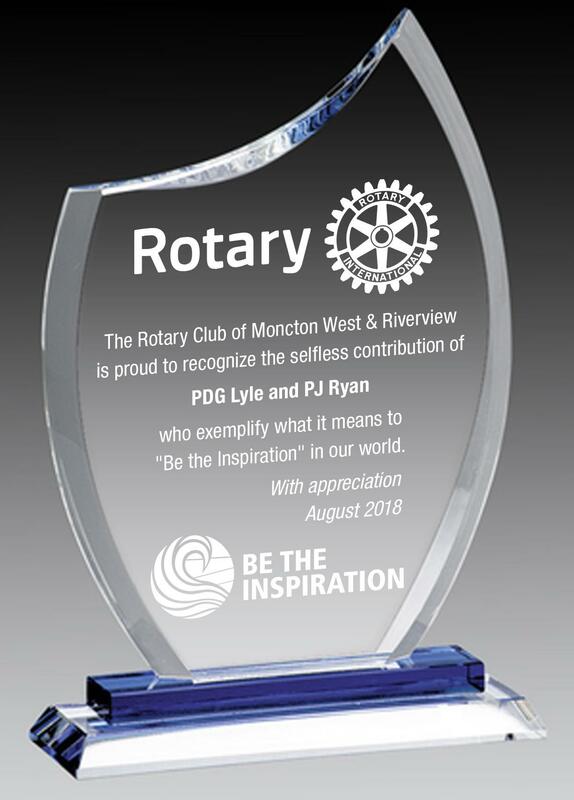 The Rotary Club of Moncton West & Riverview will remember the selfless action of Lyle and PJ who now share a special connection with Mike and Francine.